On the 3rd September 2016 the West Walton Jubilee Walk will be officially opened by Mr James Fisher; Chairman of the Kings Lynn’s District Ramblers Group. Walkers who would like to take part in walking the whole or just part of the route should meet at West Walton Village Hall in Mill Road, West Walton, Post Code PE14 7EU from 9.00am onwards for a complimentary cup of tea or coffee. At 9.45am walkers will then walk the short distance to St Mary’s Church; which is the focal point of the walk, where a brief “Opening Ceremony” will be held at 10.00am. Those who then wish to take part in enjoying a walk will then set off. The complete walk should take between two and a half and three hours at a steady pace and will finish at the Village Hall. Those who would prefer a shorter walk have the option to choose which part of the route to walk, again, finishing up at the Village Hall. A buffet lunch with tea and coffee will be available at the Village Hall for all of those who have enjoyed a walk. The idea of a walk around the Village of West Walton was conceived following the very successful celebrations held in the village to commemorate the Queens Diamond Jubilee in 2012. The intention was to establish a walk that would be suitably named i.e. the Jubilee Walk, to reflect the events of 2012 and to be a lasting legacy of those celebrations. The walk is circular in nature, around the village of West Walton. The route follows Existing All User Routes, Public Rights of Way and passes over land that is under Private and Local Authority ownership. Where necessary, Permission to pass over the Private and Local Authority land has been agreed and the Committee are extremely grateful to those land owners who have assisted them to establish the walk. West Walton Parish Council has agreed to assume the stewardship of the walk for the future. The route of the walk allows those living in the village and the wider community, the opportunity to enjoy the surrounding countryside around West Walton and to see some of the historical and interesting features that lie within and around the village. The overall length of the walk is approximately 7.40 miles long, however the nature of the route allows those who enjoy a shorter walk, to join it at one of several points and complete a shorter circular route. We at Norfolk Ramblers have been approached by Rosemary Martin, who lives near Merton, adjacent to the Peddars Way. This way is 46 miles long and follows the route of an ancient trackway that was in part used by the Romans. “Breckland District Council recently granted permission for 3 large houses to be built directly on the Peddars Way, in a rural area, much used by walkers and horse riders. The site is adjacent to an SSSI and SPA, and directly opposite a stone curlew nesting area. “The parish council has been contesting this decision with BDC on behalf of parishioners. It is believed that the decision was taken without all the statutory consultations and other legal obligations being made, and based on flawed/incorrect environmental and other data. I understand that the Ramblers and Peddars Way associations were not informed of this application. The complaint has now reached the Local Government Ombudsman. “The Ombudsman spoke to me last Friday and informed me that they cannot deal with Parish Councils. I was asked to resubmit the complaint, but include names of individuals who felt they would suffer a grievance from this development. A grievance would be recognized as, eg, a loss or reduction in amenity value or reduced safety due to traffic. (The part of the Peddars Way where this development would take place is strictly a footpath and bridleway and the development includes nine garages and parking spaces.) I am compiling a list of people who would like their names added to the complaint. This includes parishioners, and all those who use the footpath. Sunny Day At Wayland Show! 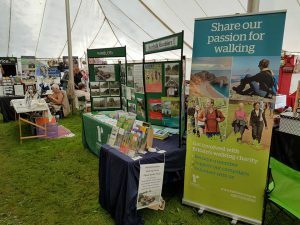 Five members of Norfolk Area Ramblers were at the Wayland show yesterday to promote the work that we do. Thanks to all of those who dropped by to buy the books we publish and to our members who came to say hello. 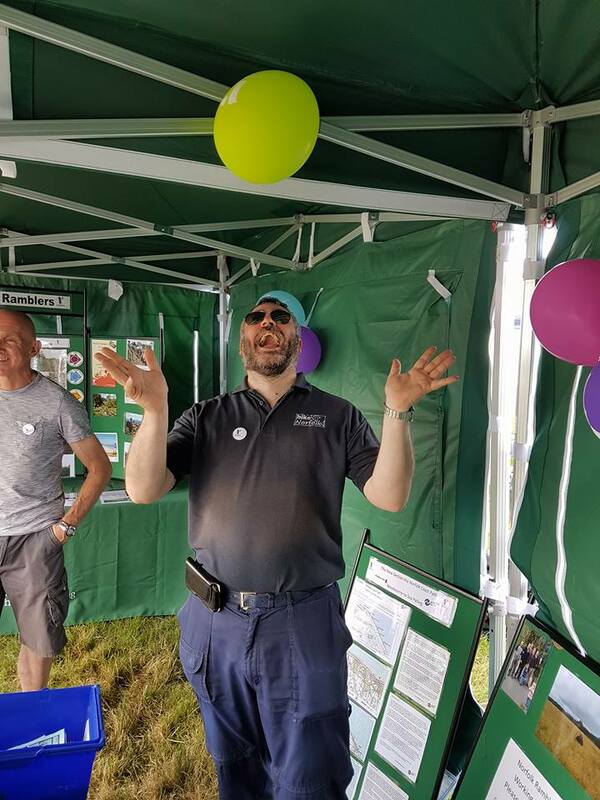 Our area chairman enjoyed the day greatly! 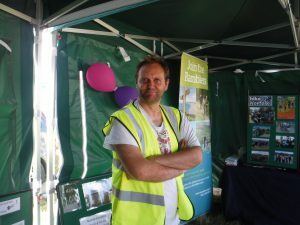 Thanks to Richard and all the others who were volunteering at the show, especially Peter who enthusiastically arrived early to put the new marquees up himself. We were also pleased to discuss the path clearance work we do with many visitors to the show. There was lots of interest in this and thanks to those who gave donations to help us continue our efforts to clear paths in the county. 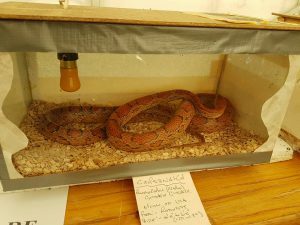 We also had time to go and look at the snakes in the reptiles tent…..
And finally, thanks to the nice people at the Frames and Conservatories Direct stand opposite for the free ice lollies which were a great boost during the hot weather! 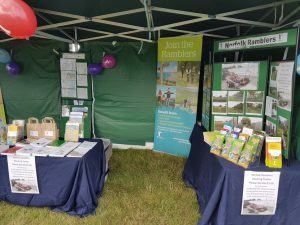 Come and see us at our next show, which is Aylsham Show being held on 29 August 2016. Area Council is the forum which Norfolk Area Ramblers has to discuss and debate issues which relate to footpaths, and wider policy, around the county. We will now be offering an update onthis blog after each area council meeting giving some information about the decisions which were reached. · We have earmarked some £5000 of possible expenditure on a number of schemes to make improvements or repair, including particularly £3000 for repairs to a boardwalk at Blickling, plus extending it through a boggy area. 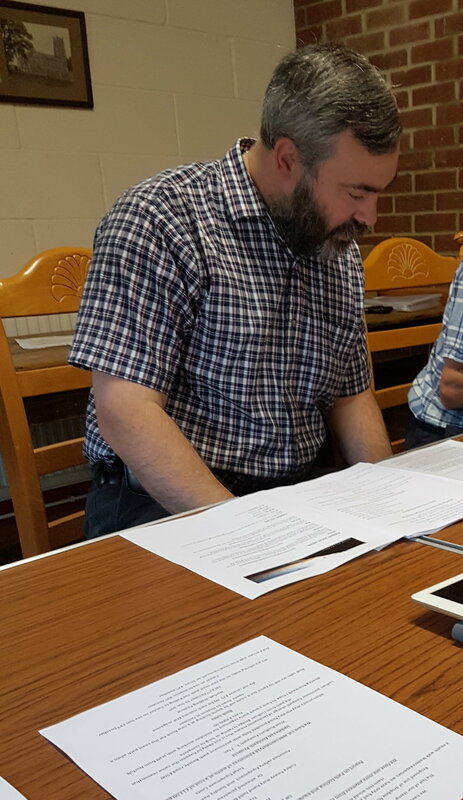 · We reviewed the work being done in collaboration with the British Horse Society and Open Spaces Society to make claims for public rights of way before the fast approaching 1 January 2026 deadline, after which historical records will no longer be able to be used as at present to support claims. The plan is to set up a systematic process of searching for possible claims, to avoid duplicating time consuming and expensive research work. All three organisations have committed funding for this, with initial money being spent on getting records at The National Archives photographed and shared. We are looking at arranging a number of local ‘hands on’ workshops for anyone interested in getting involved. If you are interested, please contact Ian Mitchell at ianmitchell5@virginmedia.com. · We noted that permissive routes continue to be lost as Countryside Stewardship schemes end and farmers and landowners can no longer offer access under the former terms. Thanks to work by our members Allan Jones and Vic Cocker among others, the Norfolk Local Access Forum has taken this on and is working to promote agreements between landowners and Norfolk County Council to establish permissive routes under new contracts. The Area Council is always pleased to welcome volunteers to help protect, improve and extend our walking network: we currently have a range of vacant posts on the Council, as well as seeking more help with many of our activities. Current needs are for people to help with press and publicity, help with our newsletter, people to monitor planning applications that might affect public rights of way, people to survey and check proposed walks, to attend shows and events, and to manage our website and social media. If you are a member of The Ramblers with time to spare, please get in touch with Ken Hawkins via ken-hawkins@tiscali.co.uk. 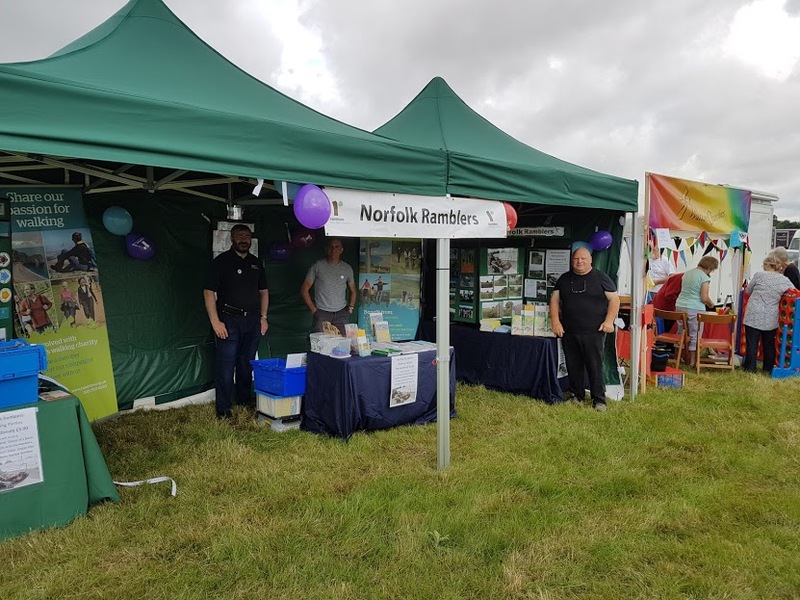 In addition to the Sandringham Show, mentioned in a separate blog post, we also had a stand at the Worstead Festival this week. 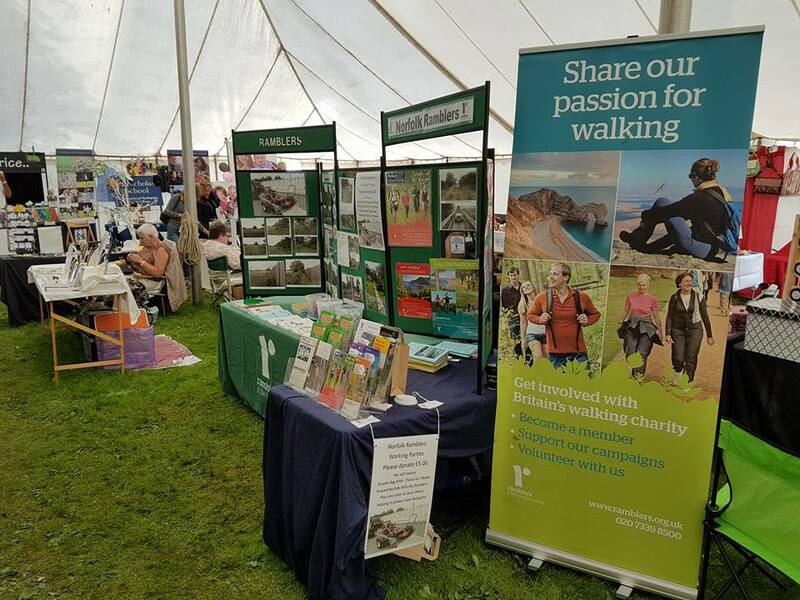 There was a great attendance and atmosphere at the festival, and we were delighted to welcome hundreds of people to our stand. We were giving away balloons, pens and badges as usual! 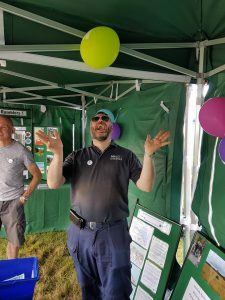 But, perhaps more importantly, we wanted to hear questions about the paths network and our work, and we’re delighted that so many people wanted to engage about that. We perform our own path clearance now, and we’re always keen to hear about footpath problems in Norfolk that we can try to fix. We also had an offer of buy two books for £5 to help support our path clearance work. We’ll be at the Wayland show on 7 August 2016 – and we hope to see lots of people there!